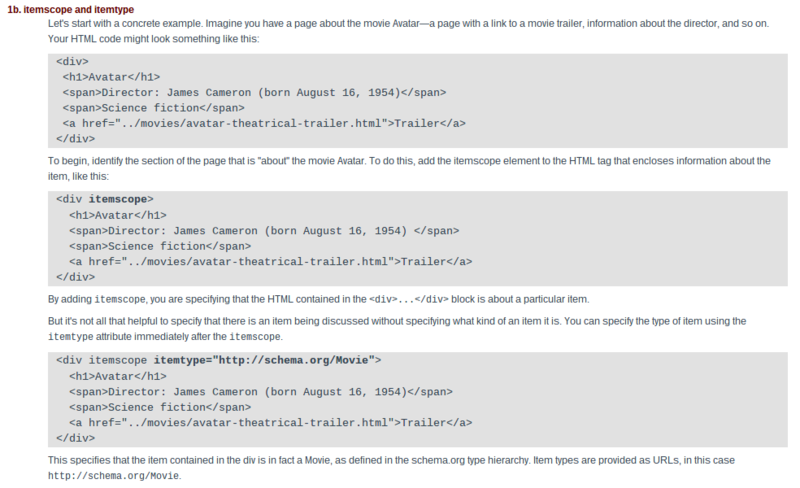 What Is Schema Markup? Learn The Language And Stay Competitive. At last, only the least shrewd online business owners are still neglecting SEO and PPC. But Schema Markups are a whole other minefield, broaching the intimidating world of HTML and coding. There is a lot of complex and confusing information out there so we have put together a simple overview answering 'what is Schema Markup?' and whether you need it. In essence, this is part of adding extra information to online content to allow search engines to have a better picture of what a website is about. This extra information isn't viewed by users on-screen but inserted as part of HTML code. It is a form of microdata, which is read by the search engine spiders when crawling your website. It helps the search engine understand what your page is actually about. This should be an addition to keywords in your content, which are chosen as means of good SEO practice. 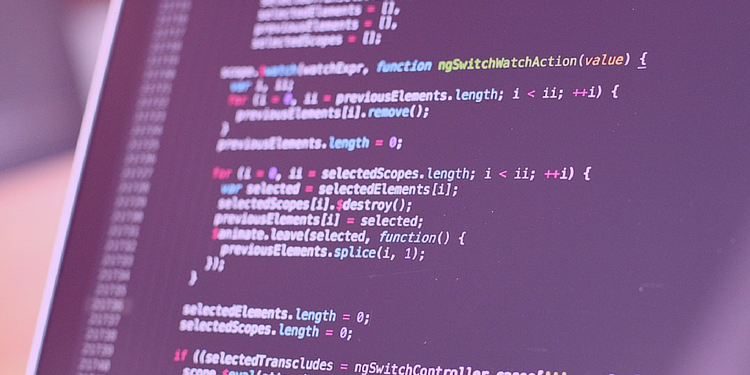 "Schema Markup" is the action of adding this data into your site's coding based on vocabulary from the community at Schema.org. Schema is so relevant because the community is sponsored by Google, Microsoft, Yahoo and Yandex. Knowing which words to use in relation to your content are pre-determined. There is a hierarchical family tree, if you will, to follow. These are words which would benefit users if the sites had mark ups installed on them. There is a great visual explanation of how to insert the code on the Schema website here. Is this not a whole lot of work? Well, if you aren't confident with even basic HTML codes, the answer would have to be yes. But if you regularly work with coding and other technical "behind-the-scenes" elements of the web, this is just another extension of that. It is also important to note that this isn't for everybody, yet. So, what are the benefits of all this? 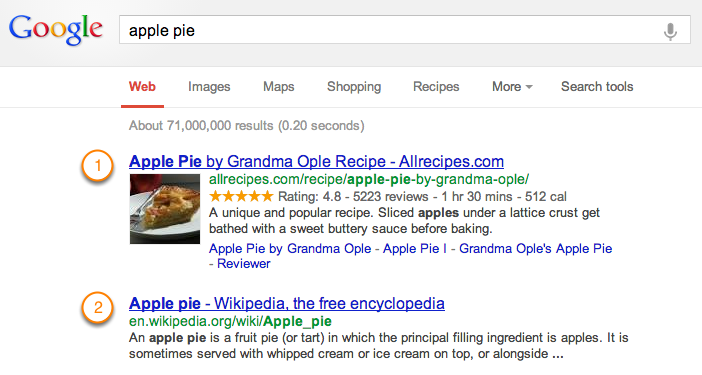 Well, if done properly, one end result is an avoidance of SERP confusion. It can help stop the return of irrelevant search results. Trying to find times for, your new favourite band, 'The Bakers's gig tonight won't result in Google showing you the opening times for a nearby Greggs, when you search 'the bakers time tonight'. And another added benefit is rich snippets. They're more likely to catch a SERP viewer's eye and lead them onto your page. Look at these two results, below. Which would you click on? This means a reduced bounce rate as clickers are more informed and an increase in conversions as visitors are more well informed. Who needs to use Schema Markup then? The process is most relevant for time dependent, if not reliant, businesses and operations. As well as those selling products online. Restaurants showcasing opening times or reviews, music venues with tickets to sell, cinemas who need to tell people show times should all be incorporating Schema Markups into their SEO campaign management. So should "real-world" customer interfacing businesses, with lots of competition, who can't afford for customers to have to leave the SERP and look around their site. Especially as it continues to grow. If this has been of some use to you, why not check out our Google ranking factors cheat sheet? It will help you climb the Search Engine Results Page ladder and gain more traffic to your site, for FREE.